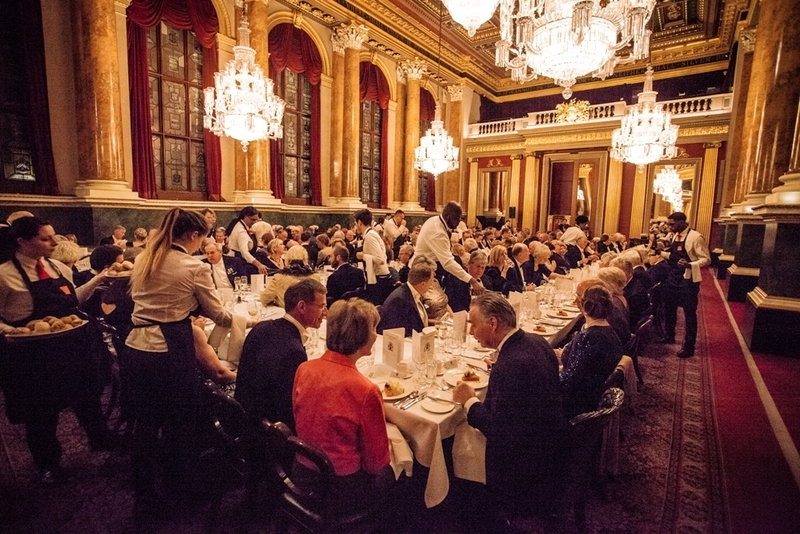 The Master chose Goldsmiths Hall for the 2019 Banquet and as over two hundred of us took our places in the Great Hall, delightfully illuminated by natural candlelight, it felt very special indeed. Masterminded wonderfully by the Clerk, aided this year by his new Assistant Clerk, the evening went off flawlessly. The speeches from the Senior Warden, the Master and her principle guest Captain Tim Cryar RN retired) were each a model of brevity and entertainment. 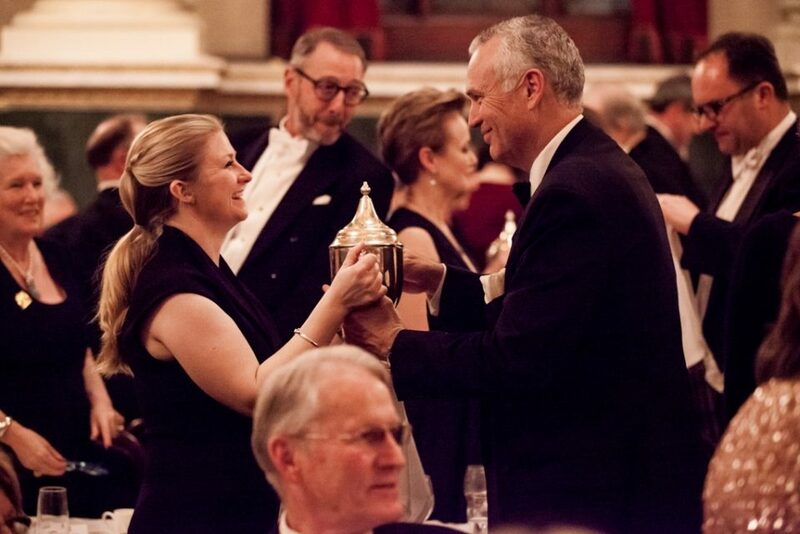 During her speech the Master announced the award of the Company's Silver Salver - awarded to the Liveryman, not on the Court of Assistants, who has done the most for the Company in the previous year - to Company Steward and Lincolnshire farmer Christopher Day. 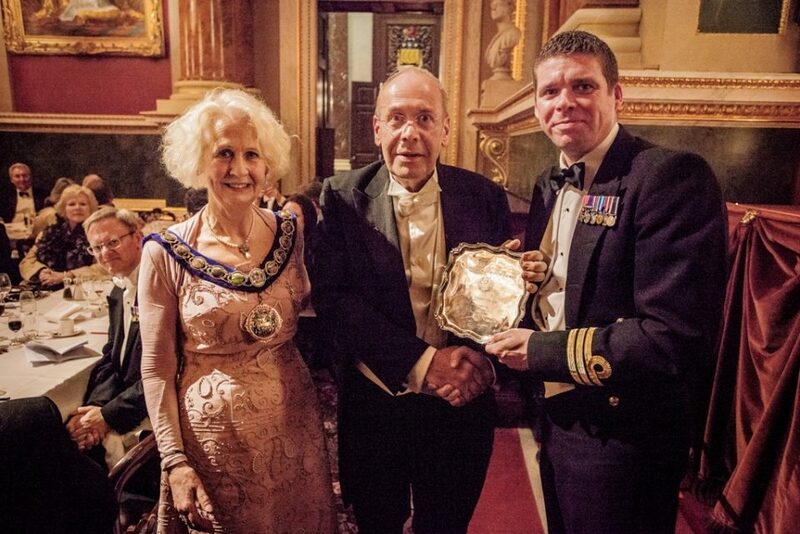 In making the award the Master mentioned Christopher's unstinting efforts to raise the Company's profile on social media, his tireless work as one of our stewards and his contribution to the work and the membership of the WCFA. The food was superb, the Loving Cup enjoyable and the entertainment, including an exceptional ‘poste horn chase’ was perfectly judged. All-in-all another memorable and thoroughly enjoyable night for all who attended.